Attorney General Kathleen Kane's office announced Tuesday, March 1, 2016, during a press conference at the Blair County Convention Center in Altoona that a grand jury has determined that hundreds of children were sexually abused over a period of at least 40 years by priests or religious leaders in the Roman Catholic Diocese of Altoona-Johnstown. 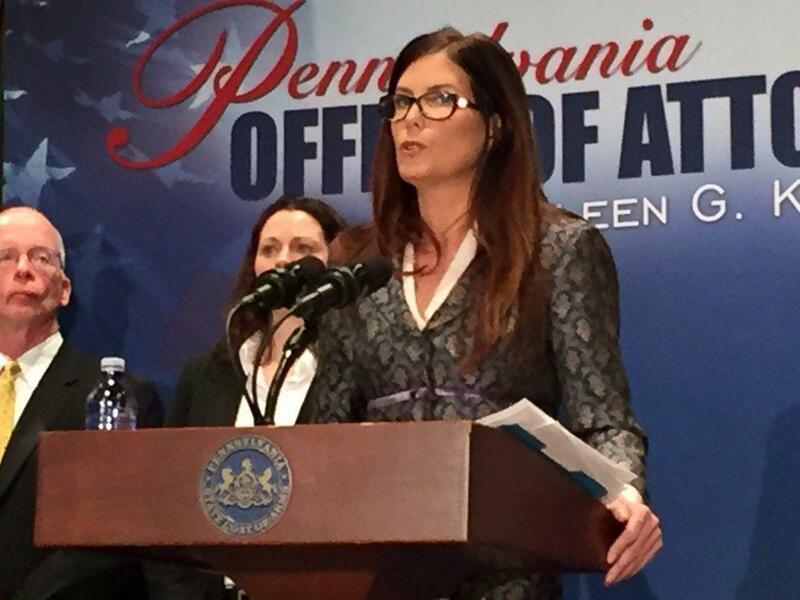 Pennsylvania Attorney General Kathleen Kane speaks during a press conference in Altoona on Tuesday, March 1, 2016, regarding sexual abuse by members of the Roman Catholic Diocese of Altoona–Johnstown. Franciscan leaders (from left) the Revs. 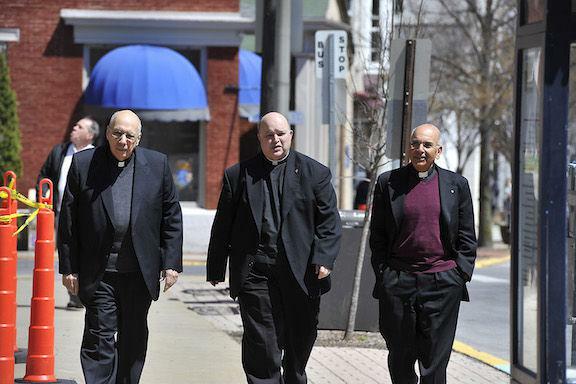 Giles A. Schinelli, Anthony M. Criscitelli and Robert J. D’Aversa return to Blair County Courthouse after a lunch break during their hearing on Thursday, April 14, 2016, in Hollidaysburg. Daniel J. Dye, deputy attorney general, led a team of investigators that gathered information leading to indictments of three Franciscan Friars, Third Order Regular, Province of the Immaculate Conception. The indictments were announced at a news conference on Tuesday, March 15, 2016, at the University of Pittsburgh at Johnstown. The resignation of Pennsylvania Attorney General Kathleen Kane is not expected to impact the trial against three priests accused of failing to sufficiently protect children from Brother Stephen Baker, who was believed to be a child predator. Revs. Giles A. Schinelli, Robert J. D’Aversa, and Anthony M. Criscitelli each face charges of conspiracy and endangering the welfare of children. Deputy Attorney General Daniel Dye, the lead prosecutor in the case, has argued the three defendants – in their roles as ministers provincial of the Third Order Regular, Province of the Immaculate Conception – gave Baker assignments that provided him access to children. 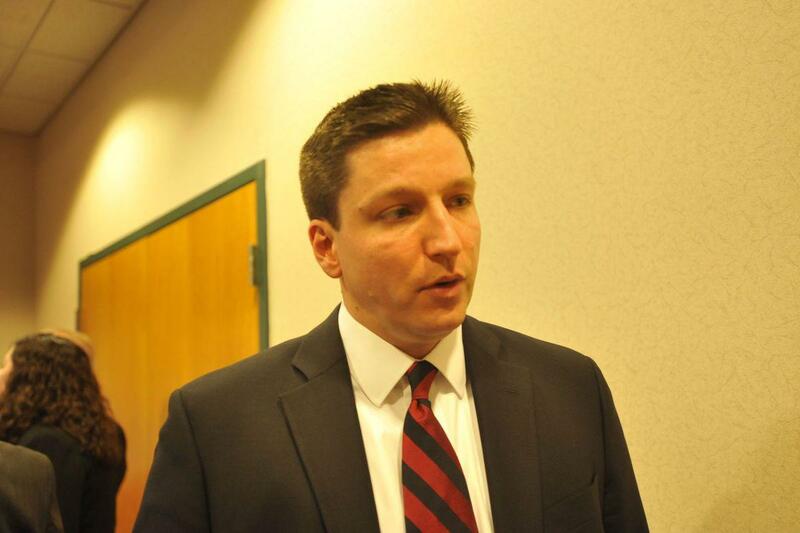 A status conference is scheduled to take place Wednesday in the case against Schinelli, D’Aversa, and Criscitelli. The trial is not likely to begin until 2017, according to Blair County Judge Jolene Kopriva. 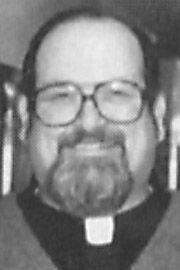 Baker allegedly abused at least 100 students at what was called Bishop McCort High School when he served there from 1992 through 2000. The friar died from a reported suicide in 2013. Kane resigned, earlier this month, after being convicted of perjury, obstruction, and other crimes. 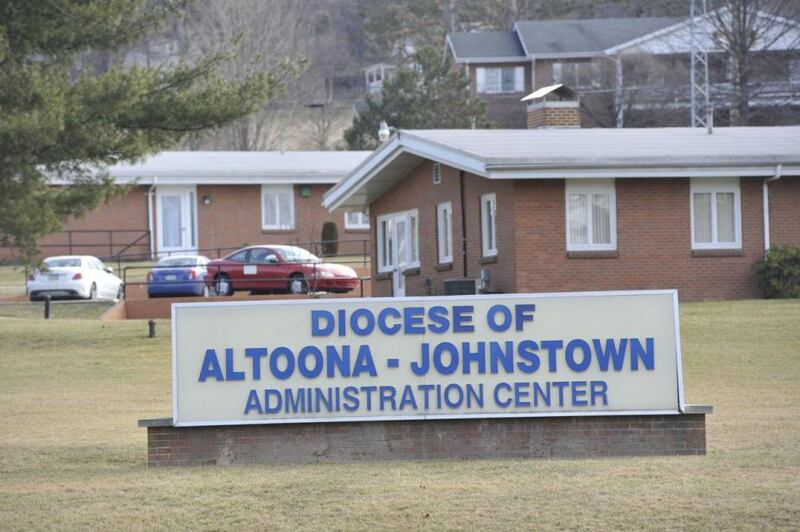 Kane's original investigation of Baker expanded into an examination of the entire Roman Catholic Diocese of Altoona–Johnstown, which the AG's office alleged was involved in a decades-long coverup to protect predator priests and other religious figures. The attorney general's office set up a tip line for victims and their supporters to report incidents of abuse. Hundreds of calls have come in to 1-888-538-8541 since March.